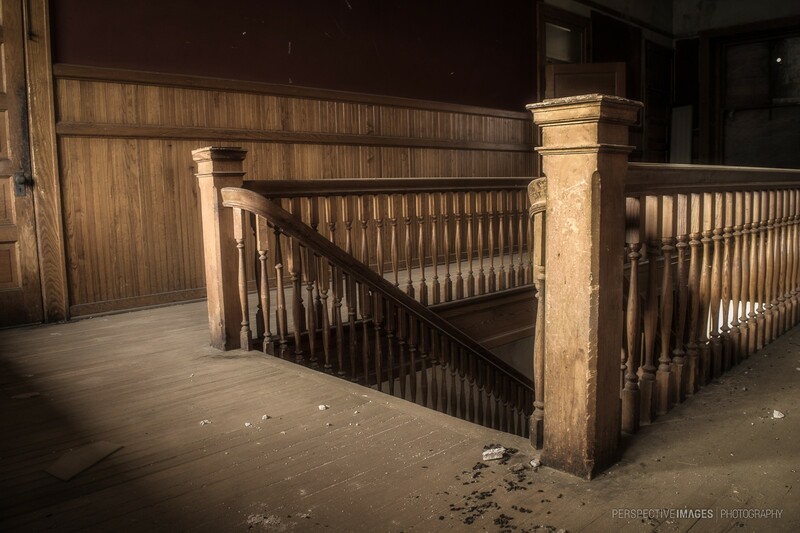 The stairs and halls of the old school house has amazingly detailed wood work, no expense was spared on the craftsmanship. To see such hard work fall into disrepair and decay I’m sure would be heartbreaking to the builders. As a kid, I would have gladly gone to a school like this. I love your blog site, Will, and the way you present your images! My first school was like that. Had 4 classrooms. Two on the ground floor and two on the first floor. And the staircase that led to the first floor was like this. So, my school was better than yours? One thing i’m sure, your photos are better than mine. I like the light here and the dirt in the foreground which somehow is a clear sign of decay. This place is in a mix of conditions, some areas the decay was obvious and in others the building was holding up pretty well. Gorgeous staircase! The lighting is beautiful in this scene.